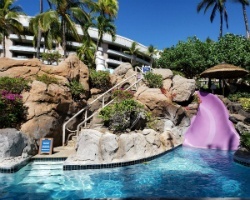 *Ocean Tower by Hilton Grand Vacations Club* is a six-story tower located within Hilton Waikoloa Village. All suites feature resort or ocean views as well as a full kitchen, a private balcony and spacious living and dining areas where you can spread out and relax in between all the activities Hawaii offers. Studios in Ocean Tower are equipped with kitchenettes, including microwaves, refrigerators and dishwashers. 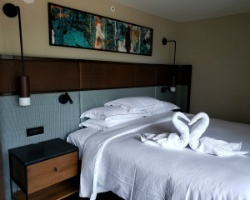 The resort features an exclusive fitness center and a check-in and departure lounge. Owners and guests at the property have access to all the incredible amenities of the Hilton Waikoloa Village, from its swimming pools, tennis courts and tram to the village’s boat rides, resort shops, restaurants and the Kohala Spa. To discover more, please visit https://club.hiltongrandvacations.com. 3,400 annual points! Points can be used anywhere in the HGVC network! Buyer may receive a title fee credit, inquire for details! 24,000 annual points! Points can be used anywhere in the HGVC network! Buyer may receive a title fee credit, inquire for details!